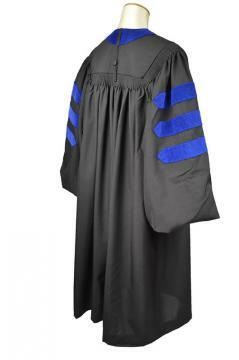 This beautifully detailed gown is worthy of the most distinguished doctors. 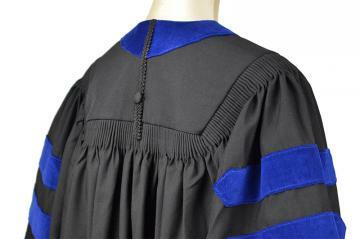 The front panels and collar are embellished with velvet trim in the colour of the school or degree specialty. 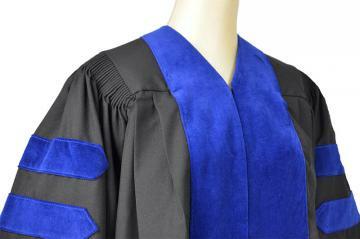 Each sleeve features matching velvet chevrons with piping. 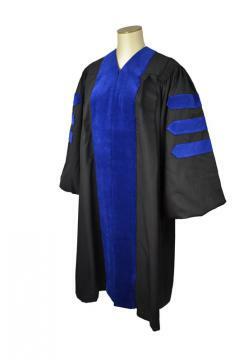 The large, elegant sleeves are belled and finely adjusted at the wrist with Velcro closures. A braid and button adorn the back. Several colour combinations available.